Blowout Sale! 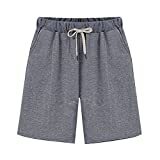 Up to 57% off on Shorts at Mas Fashion. Top brands include VEAWLL, Weintee, L.e.i., HOW'ON, HyBrid & Company, Innifer, iHeartRaves, Xudom, Haola, Gooket, Be Bop, TOB, RK RUBY KARAT, Riders by Lee Indigo, Lookbook Store, Celebrity Pink Jeans, Signature by Levi Strauss & Co. Gold Label, & prAna. Hurry! Limited time offers. Offers valid only while supplies last.